With the irreversible changes in reading trends in this age of digital information becoming a disheartening yet certain reality, a song extolling the virtues of physical books and reading in general comes as a breath of fresh air for spine-loving purists. Beyond the Border, based on two journeys that writer-academic Yoginder Sikand undertook to Pakistan, is a strikingly unconventional account of what life is like for ‘ordinary’ Pakistanis. The Pakistan he discovers only remotely resembles the stereotypical Muslim nation of the collective Indian imagination. From Shiela, the daughter of a feudal lord, named after her mother’s Indian best friend to a rundown, local eatery owner who offers the author free food because Sikand is the first Indian to visit his stall, encounters with Pakistanis from all walks of life reflects a very different image—that of a Pakistan as diverse, paradoxical and rich in narrative as India. As President of the recently constituted Society for Arts & Literature (SALT), it was my pleasure to introduce Sunshine to a Chandigarh audience on Saturday, 19th November, through an honest and informative discussion with the author, Minakshi Chaudhry. Following the positive response to both the American and Indian editions of his book, Conversations, author Rajeev Nanda thought it prudent (read wise) to revisit the successful topic; with a slight difference. To plan for the next edition, he would like to reach out to the ever-so-chatty blogosphere to hear the conversations the world is having. Following the successful debut of a literary offspring , Adrift, in May 2010, I could think of no better way to beat the inevitable post-natal blues but to conceive again. Thus, Cutting Loose, with an incredibly brief gestation period of ten days, was introduced to a chosen few in its undeveloped, under-nourished form in October last year. It has, since, metamorphosed into a full-bodied entity, found its spotlight, and made its presence felt in cyberspace. To all of you who are reading this right now, and are impatiently waiting for me to arrive at my point, I would like to say: thank you! Thank you for dropping by, thank you for browsing, and thank you for writing in. It would have been, and will be, an entirely meaningless exercise without your participation. On a personal level, it has been a rather eventful ride thus far. 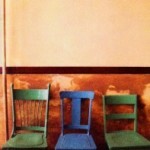 I have, in the year gone by, travelled some, eaten much, read a bit and shared a lot. I have lived out at least one dream on my bucket list; attempted to shred at least one myth; experienced innovative culinary ideas; picked up many a literary gauntlet; reacquainted culturally with a place I call home; and walked down a few memory lanes. In my mission to provide vicarious pleasures, I have been assisted, in no small measure, by online angels and chronologically younger but (unsurprisingly!) technologically superior minds than mine own. 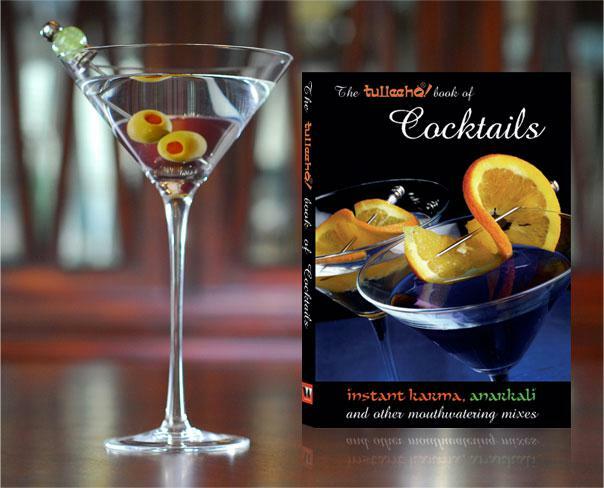 Through their constant inputs, I have striven to continuously improve the look and feel of Cutting Loose. Followers have increased tremendously; never mind the subscriber counter that appears to be stuck. However, if you feel the desire to change that figure, go here. Or don’t. 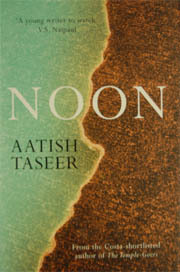 Noon is Aatish Taseer’s third book in as many years. 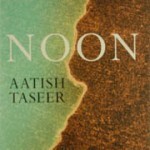 As in his memoir, Stranger to History, and The Temple-Goers, his first novel, this one too, reflects on his main concerns: uncertain childhood, absentee parent, emergence of a shining India and the rapid slide of Pakistan towards failure. Here, too, he borrows heavily from autobiography; peopled by events and characters that are evidently inspired by real life. 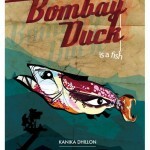 Bombay Duck Is A Fish is an impressive debut by Kanika Dhillon. 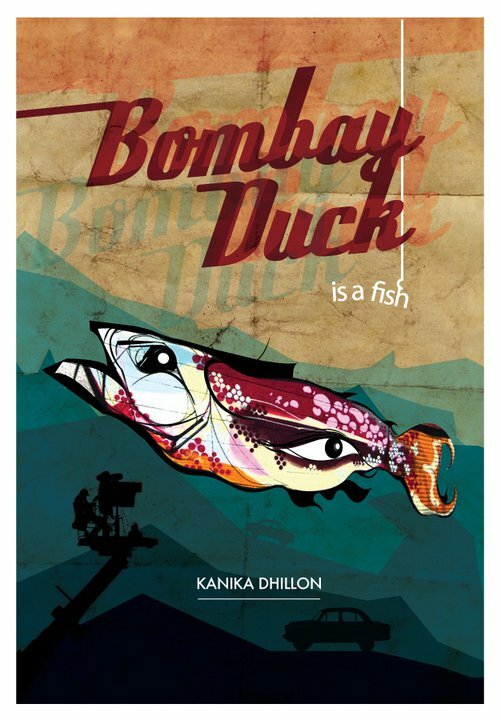 Her protagonist, Neki Brar, a small town girl from Amritsar moves to Mumbai to make it as a filmmaker in Bollywood. 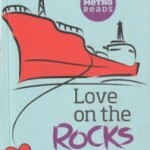 She finds a flat and her first job in Mumbai easily enough but trials follow soon after. Life on a film set is chaotic and Neki discovers a knack for showing up at the wrong place at the wrong time. Gradually, the naive girl metamorphoses into a shrewd Assistant Director and starts climbing the ladder of success. Little does she suspect that she will find herself, not many months later, standing on the terrace of her building, a bottle of wine and her diary in hand, thinking about how best to jump off. 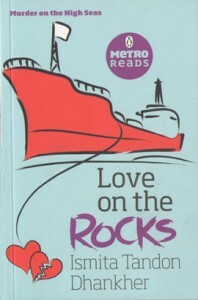 Love On The Rocks by Ismita Tandon Dhanker (part of Penguin’s Metro Reads series), is a romantic thriller that tests the bonds of love and marriage against a backdrop of suspense and intrigue. Staged on the high seas, this whodunit refreshingly explores previously uncharted settings in Indian fiction by placing its characters on a ship. With twenty-four men and one woman cloistered in the vessel, things are bound to happen. That they would be easily and swiftly resolved is indicated by the lively cover on this slim volume. Add to that a believable happily-ever-after ending. 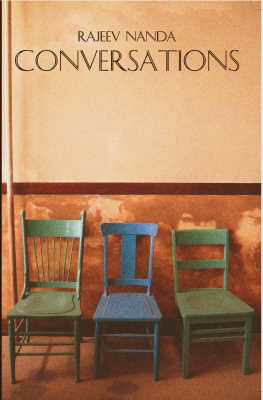 Rajeev Nanda, author of Conversations, has been working in the hi-tech industry since 1985. He started his career as a software engineer in India and has worked across many roles and organizations both in India and US. After spending more than 10 years in the US he relocated to Bangalore to help Intel setup their IT group in India. 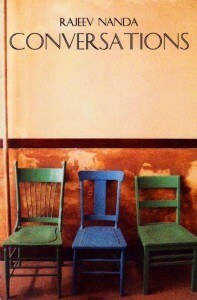 His literary debut is a compilation of discussions between ordinary individuals about risks taken andprices paid. Each story follows a theme relevant to anyone who has experienced long life or death, dreams or futility, love or broken relationships.